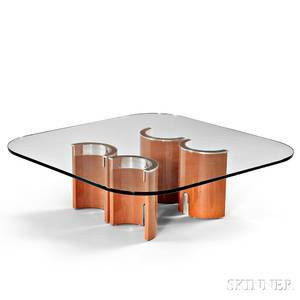 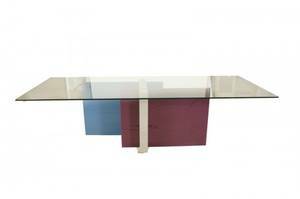 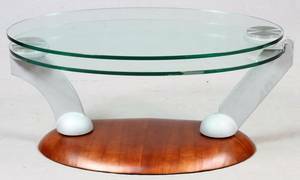 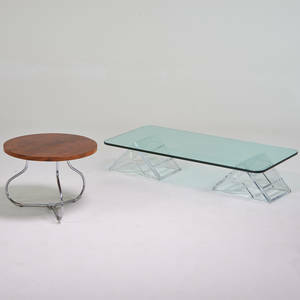 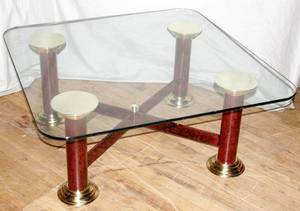 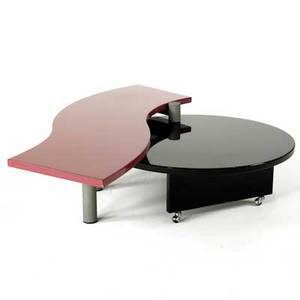 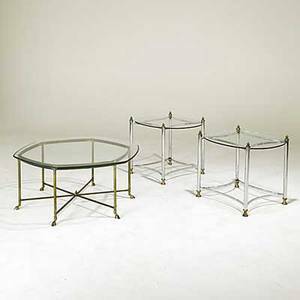 Saporiti Italia Glass Coffee Table Glass, metal Italy, 1970s Glass top with rounded corners on half-cylinder base construction, base permanently fixed to table top with invisible adhesive, ht. 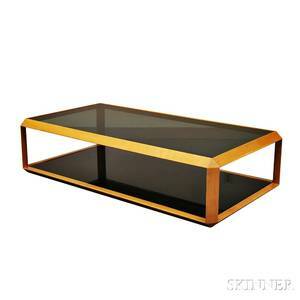 16, dia. 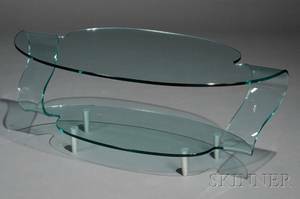 39 1/2 in. 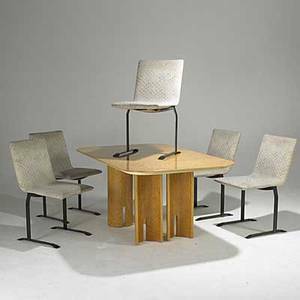 Maurizio salvato; saporiti italia; nike coffee table, italy, 1990s; enameled wood and metal; unmarked; 15" x 63" x 46"
Saporiti italia; burlwood dining table with insert and five bronze and upholstered side chairs; all with foil labels; table: 28 1/2" x 63" x 39 1/2", insert: 24" chair: 34" x 19" x 24"
Mastercraft; brass and glass coffee table together with chromed steel, glass and brass sofa tables; unmarked; coffee table: 18" x 42 1/2" dia., sofa tables: 23" x 27" x 23"
Modern; two pieces: lucite and glass coffee table, 1970s; together with mahogany and chromed steel side table; both unmarked; coffee table: 12" x 60" x 30"